Last May 2012, the Main Gate Urban Overlay District (UOD) saw its first major building permit, a 35 million dollar high-rise student housing project. That set the path for the Main Gate overlay district and painted a disappointing picture of what a UOD looks like to neighborhood sustainability. Overlays aren’t new. 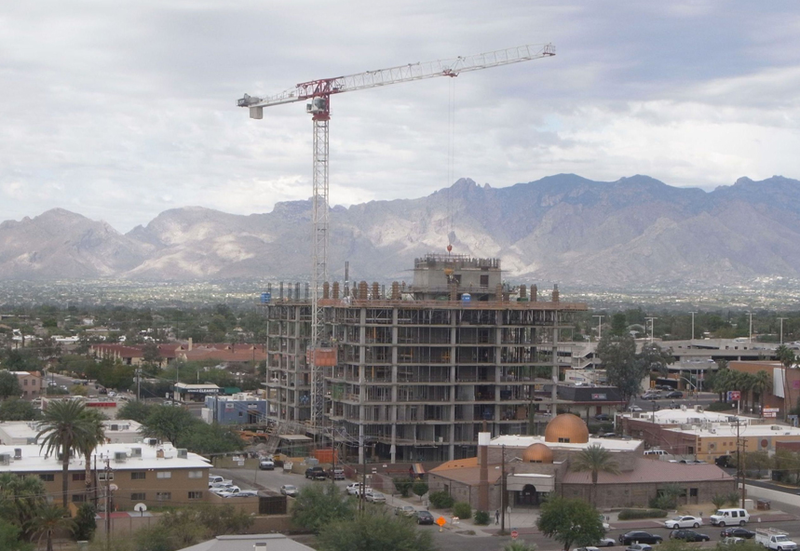 Tucson has been using zoning overlays as planning tools for decades. An original overlay, the Historic Preservation Zone is well liked. The newest one, the Main Gate Urban Overlay District became an icon to mistrust in public process. City planners passed a UOD fast track enabling ordinance in 2010. Its reasons were mixed. Infill conditions for a 63 million dollar federal streetcar grant was one. Other reasons are downtown infill, a needed warehouse district, a desire to add density along arterial edges and the fallout of the deepest real estate recession since 1929. Click here to view the rest of the article.